This is a right of reply by Morvern Cunningham and Duncan Bremner. We are aware that our work has been recently questioned in an article in Bella Caledonia written by Stephen Pritchard, a Newcastle based artist and recent graduate from the University of Northumbria (‘Who Pays the Piper, Artwashing and the Planned Social Cleansing of Leith’). The article contained a number of falsehoods, untruths and accusations. We do of course, welcome the opportunity to continue a discussion about gentrification and the uneven redevelopment of Leith that we, along with many local people, have been having for a number of years. We are well aware of the contested nature of the debate and the heightened tensions around the redevelopment of the area. What we do not agree with, is Mr Pritchard’s divisive and antagonistic approach in both print and social media. Having attempted to polarise debate, Mr Pritchard directly asks ‘which side are we on?’ We would like to respond to this article by talking about who we are and what it is that we do. Leith Creative is made up of Duncan Bremner and Morvern Cunningham, local residents who have lived in Leith for a combined total of 35 years, and who have been involved in community arts projects in Leith and Newhaven since 1997. Duncan, who set up and runs cultural and local heritage charity Citizen Curator and Morvern, who set up and runs grassroots multi-arts festival LeithLate have been working together since 2015. Morvern began grassroots multi-arts festival LeithLate in 2011 with a group of friends who wanted to highlight Leith, its artistic community and varied local businesses by hosting a free and accessible art event down the length of The Walk. This annual event took place at the same time as Leith Festival, attracting a mainly local audience of thousands, and was self-funded for the first four years of its seven-year existence. Citizen Curator is a small cultural and heritage charity led by Duncan alongside a voluntary board of long-time local residents, none of whom as Mr Pritchard suggests have any connection to the Scottish Government. Underpinned by a principal of ‘dig where you stand’, Citizen Curator has, since 2013, worked in partnership with local people and community organisations to uncover, understand and present some of the many stories that make Leith unique. With a joint interest in grassroots cultural activity, to date we have cooperated on a total of three projects under the partnership title of Leith Creative. Our most recent project, A Wall Is A Screen: Leith took place over 6 months and was funded by Festival 2018 (part of Glasgow 2018), Film Hub Scotland and Leith Chooses. It involved multiple film screenings with local community groups including Sikh Sanjog, Young Saheliya, Multi-Cultural Family Base and Leith Community Cinema, culminating in a large-scale free public cinema event attended by over 600 people, the majority of them from Leith. It is our intention, and interest as citizens, to contribute positively to local democracy in Leith from a grassroots level, instead of the usual top-down dictatorial processes we are all familiar with. We stand by the value of our work to date, and by the Leith Blueprint produced in 2017 which reflects the views of some 2000+ Leith citizens who participated in the various events that took place over the 7-month duration of the research project – People and Places: Make Leith Better. Findings were entirely drawn from community responses. We do, of course, recognise the challenges and limits to the grassroots community development process we believe in. Leith has some of the most socially disadvantaged neighbourhoods in Scotland. In common with many areas of the UK, there are high levels of inequality, childhood poverty, issues around the lack of affordable accommodation and homelessness, as well as drug and alcohol abuse. 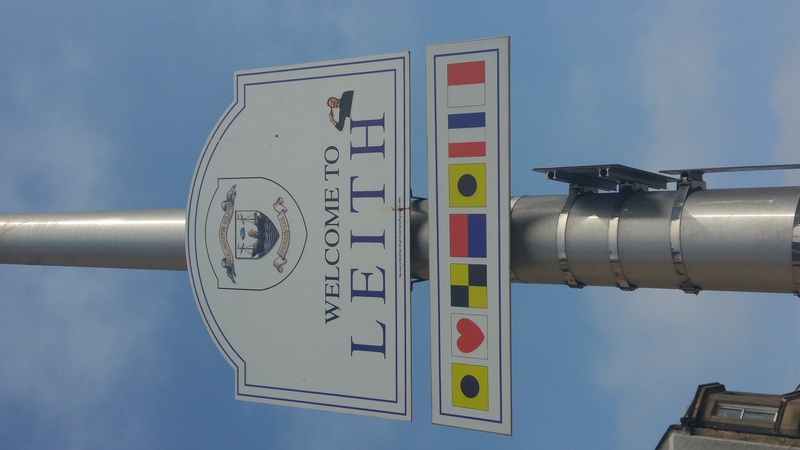 However, Leith is also hugely diverse socially and culturally, with a strong community identity, lots of green spaces and independent businesses, all of which are seen as particular assets to the area. Our projects have in the main been funded from national cultural funding sources, including the Scottish Government and Creative Scotland, as well as local sources – primarily the City of Edinburgh Council. These funding bodies do not tell us what to say; our work is independent and is instead informed by the people of Leith. We are also well aware of the limits of our work to date – though 2000+ responses is a start, we wish to widen the discussion further amongst the other 53,000 citizens in Leith. We recognise there are still many voices not yet heard – it takes time, energy and resources to in order to engage and enable change. However, whether 55,000 or 2000 people respond, it is also obvious that uneven and misguided regeneration has been one of the causes and indeed exacerbated many of Leith’s long-term problems. Leith is now undergoing yet another wave of regeneration, displacing many long-term and newly arrived residents alike. Already marginalised by developers, we are concerned that if Leith isn’t able to act collectively then its community and creative ecosystem will be engulfed by new-build houses, student accommodation and ill-conceived or unwanted developments. So, whilst we welcome Mr Pritchard to the debate surrounding Leith’s current challenges, we cannot agree with the divisive approach he takes. Nor can we let the spreading of untruths go unchallenged at a highly sensitive time within our community, with significant proposed changes to the area, such as that of Stead’s Place, contested by many local people including the Save Leith Walk campaign. By spending little time in Leith, and by choosing to directly accuse Leith Creative of ulterior motives, we believe Mr Pritchard doesn’t only do us, but the many diverse communities that make up this place, a disservice. He also crucially fails to offer any local understanding of housing policy, any proposed solutions to gentrification, and doesn’t address housing shortages, land values, big business, planning systems or the mechanisms of local and national government, or indeed any of the real issues that contribute to people on the ground feeling they have little or no sense of agency or control over the decisions that are made about their community. We believe the first priority of those involved in community development should always be the communities they are working in. We hope through our work and that of the many other local people engaged in the debate to have a more balanced, nuanced and productive conversation in the future than the one this article presents. Board Member – Abigail Bremner – senior researcher at the Scottish Parliament. Just your regular Newhaven folk then. I’ve no particular dog in this fight, but I have to say – this one has me hooked. What is legitimately ‘grassroots’? What is legitimately ‘community’? What do we mean by ‘legitimately’ and who gets to decide it? It may have also been the Leith Business Association (perhaps this was the group of friends ?) – but their idea of using art work on lighting columns and bins wasn’t included. Precisely. But who am I to dare to speak out? I’m from Newcastle for God’s sake!? You are aware, presumably, that the Scottish Government and the Scottish Parliament are quite separate institutions? The question was directed at Marilyn Clark, who seemed to imply that being a researcher at the Scottish Parliament is a connection to the Scottish Government. As an activist for Save Leith Walk I have found Leith Creative to be a force-for-good in the Leith Community. As a science graduate, I find Dr Pritchard to be a very poor researcher. Dr Pritchard is in no way helping the Leith community with his conjecture. Personally, I prefer evidence and I have seen none to back up his negative comments on Leith Creative. It’s the nakedly self-aggrandising nature of Leith Creative as the self-elected saviours of Leith that’s being questioned here, and legitimately so. Each utterance a loud demand for more funding, more funding, more funding. To do what? Pop-up spaces to temporarily house businesses and artists displaced by developers? That’s convenient! Money to project films about poor people right onto the terrible housing they are forced to endure? Leither do deserve a voice but must it be the art mob who speak for us? I don’t think so. Pritchard is right to question this. A heartfelt and honest response to a divisive and propaganda-led accusation. I know the work that both Duncan and Morvern do and it is both passionate and committed. For them to have been slandered in Stephen Pritchard’s original piece was deeply unfair. However, I take my hat off to you BC for having the balls to let them have an unopposed right to reply. Let the debate continue. GGTTH. Hi Mark – we are hoping to develop the dialogue about what are often complex and difficult issues. We were happy to publish Morvern and Duncan’s response completely unedited. We are commissioning further responses and hope to widen it beyond Leith. I think we can learn in open and honest discussion. Hi Mark. Sorry but my article is not slanderous and it’s about a lot more than LC. Nice to see a director of Edinburgh Creative comment, however. EC are instrumental in so much going on in Leith. I’d like to talk more about what you do. Can I interview you? Mark, perhaps in the interests of transparency, you might declare that you are a marketing and PR whiz and also Chairman of Creative Edinburgh-of which Morvern cunnigham is also a member of the board, an organisation that is ostensibly a paid members club that promotes those who pay the most and most certainly IMHO an organisation least deserving of Creative Scotland’s recent two hundred and fifty thousand pounds? grant . Alan Bissett rightly points at the elephant in the room here…that of ‘legitimacy’ – we certainly need to be clear about what we are (and are not) talking about in respect of the way creative practitioners work with a declared social context. I’d encourage Alan to think back to his speech at the Scottish Urban Regeneration Awards in December last year – when he spoke passionately and movingly about the voices of his dad’s pals and how they were a crucial narrative for understanding his own relationship to his home bit and how important it was that these, often unheard, voices should be included in any future thinking and change in any place. I think there is a growing school of thought across diverse agendas (not just the creative sector) that there is NO such thing as a unified collective voice for any community or ‘place’. The aim of what I identify as useful/responsible place-based creative practice is to make a space for multiple voices to be heard – particularly those who don’t find the traditional channels for communication accessible or comfortable. Taking this stance, hopefully shifts this conversation away from any notion of an externally measured ‘legitimacy’(ie whether it can be proved that any artist can speak with the support of a community) and towards a legitimacy of approach- are the working methods of the practitioners working to open (or close), include (or exclude), support representation (or represent)? We are in a possibly pivotal moment of laying the foundations for an emerging Scotland – for many years there has been a vacuum of effective community engagement in the planning processes shaping the places that we live, work and play in. People growing locally-based creative networks that are both feeding a vital local economy and working to include and involve diverse sections of a community in shaping their own future seem to me to a powerful contribution to the collective effort to build a Scotland for the many? As a practitioner with over 20 years experience in multiple locations in Scotland in the areas of community arts/planning and community-led regeneration, I have followed the work of LeithLate, Citizen Curator and Leith Creative with great interest. I have seen the work these groups are doing and met with a variety of group members and participants. I’ve been very impressed by the commitment to good community practice, the quality of the artistic practice and the calibre of the people involved. In my opinion, sound work is going on in Leith, and though at a relatively early stage in reaching all sections of the community, everything i have seen suggests that this will prove to be an important initiative in Leith for actively and creatively involving local residents in the decisions about the way their area grows and changes. I also have experience of the Newcastle based academic Stephen Pritchard. He has written a doctoral thesis that attempts to build a foundation for a phenomenon he characterises as ‘artwashing’. This involves artists unwittingly helping the unscrupulous objectives of property developers and other seeking to control the future of places for personal profit or power. Stephen has previous form in mounting social media campaigns against community and arts projects in his own country – in the most part these appear to have the aim of propping up and drawing attention to his doctoral thesis, while he applies for permanent positions at English universities. Perhaps directing the same rhetoric at Leith means that Stephen is now looking for tenure at a Scottish University having been unsuccessful down South? So, Stephen – céad míle fáilte to Scotland 🙂 I’m sure I speak for many in welcoming you to the amazing world of creative practice in this country. You will find everyone happy to share insights, experience and access into the worlds we inhabit – worlds with nuance and complexity and many, many voices – all of which have a right to be heard if offered openly and respectfully recognising that they are but one amongst many. Thanks Matt. But your comments about my academic career are untrue and wildly speculative. Likewise, my thesis – which I have sent to you long ago – is about much more than your shallow precis… Interesting you, like others, choose to.highlight my nationality. I support Scottish independence fully but dislike being labelled English. Do you? The idea that you must be either Scottish or been here X number of years to raise concerns is both desperate and risible. Those are straws you’re reaching for. Leith is a port. It accepts anyone who calls it home or cares about it. Thank you. I find it ironic when an Englishman living in Scotland calls out my Englishness… Even though I myself have no wish or reason to be proud of England. There’s a lot of League of Gentlemen commentary knocking about here. Interesting how the “creative placemakers” flock together… Who Pays The Piper? Stephen – assuming that I am the ‘englishman living in scotland’ (?) that you refer to….there is nowhere in my comment on Leith Creative’s article that refers to the ethnicity of anyone within it. This is just something that I would not do – because I consider ethnic origins utterly irrelevant to the importance of anyone’s voice in a conversation – though someone’s life experience may well be part of the way we understand their opinions? (Please see my comments at the top of my contribution about including different voices). As you know from our previous conversations, I have questioned the depth of your understanding of the differences in policy, planning and community development context between Scotland and England, this is my reason for mentioning different countries/different context. I, and I’m sure many, many others will be delighted to welcome you on your explorations in the Scottish context – there is always a important role for people who move between different contexts and yours is a provocative voice in this area of work….but launching an all-out attack on Leith Creative, based on very little knowledge, seems a strange way to start a research process? Maybe spending some time getting to know Leith and talking to a variety of folk there would be properly interesting for you and help you add another dimension to your thesis? Matt, I have and continue to talk to and receive comments from a broad range of people in the community. I held an open community conversation on 10th Aug that was felt by many present to be a breath of fresh air. Neither my article nor my research is about an “all-out attack” on Leith Creative. It’s about much more than that. And I point out that this is planned gentrification. I know you are looking to forge an alliance with LC and wish you every success. As you know, I am interested in your ongoing work in Dumfries and often refer people to the Stove’s work. A good example of community involvement in regeneration. Asking questions is how you research things, for those unfamiliar with the process. Even if those questions are uncomfortable. I don’t view Pritchard’s article as an attack. I view it as valuable because it speaks truth to power and funding IS power in the community. I feel Leith Creative’s response just strands them deeper into the corner they’ve painted for themselves. To respond by claiming to be “more Leith” than Pritchard smacks of desperation. To admit only 1,000 Leithers have shaped the “blueprint” is to underscore that Leith Creative’s agenda is what that document is really about. Leithers are the people best placed to decide what direction Leith goes in. They do this via their elected officials. I don’t remember voting for Leith Creative to speak for me, yet their role is widening because they are persistently loud in claiming they speak for the community. I applaud Pritchard for daring to question that. In my experience, the word “curate” tends not to be used by locals in Scotland’s less salubrious communities. For me, with all my petty prejudices, it’s an indicator of imminent wankery. It’s always useful to have some “bench marking”. Absolutely. I’m even turned off by “place-making” as an avowed intention, TBH. Let’s face it. Charity is just politics without the accountability. It’s the wrong tool to try and fix systemic injustices with and it gives power to the unelected. Oh Deborah I’m going to quote this again and again ‘ Charity is just politics without the accountability’. And nebulous ‘organisations’. Leith Creative is not fighting the developers – SaveLeithWalk is doing the spade work. Leith Creative is an organisation which claimed to ‘map’ creatives in Leith at a time I was a filmmaker myself and lots of my friends but astonishingly we did appear ‘mappable’. Just as well! While everyone is bickering, the developers are moving into Leith and buying up land for profit. The gentrification will continue unless planning law and community laws are tightened up. Leith Late have started a conversation with the community and I hope they continue with the work they do. 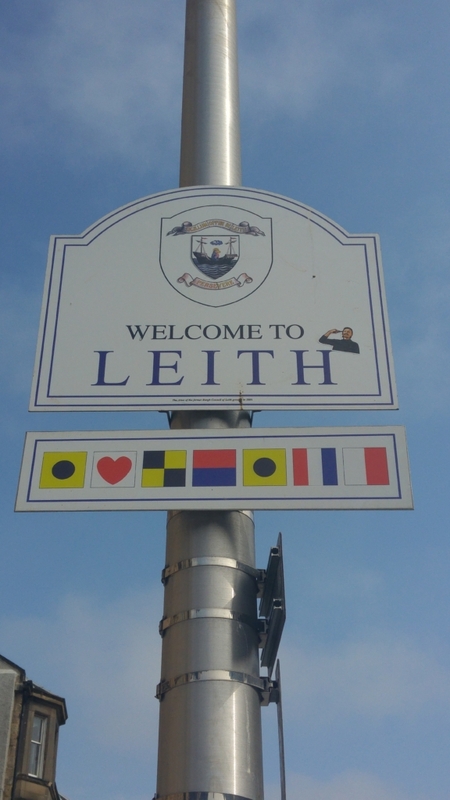 Raising Leiths profile and highlighting why Leith is a great place to live and work should not be underrated. We all want the community to be able to have a say in real terms about what developments are planned. If only we could have a bigger voice in planning law? Instead we seem to be fighting against oversized massive developments which push successful businesses out of the area (Stead’s Place), developments like this are not what a lot of the Leith community want! Edinburgh as a whole is seeing old buildings destroyed instead of improved upon to create cheap massive boring soulless boxes. It’s time to have a real plan for Leith that fits in with its community. Oh dear. I’d say this ‘spontaneous’ call for a Leith development trust is one of the better disguised ones tbh. The undercurrent here being that we should all pipe down a bit or every community group they have inveigled themselves into will perish – I’m surprised they haven’t suggested Hibs will be relegated if Leith Creative aren’t about. The Community Development Trust is an idea that’s been knocking around Leith for some time, it would actually help these issues from being centred around art and artists and would provide a legal basis for community ownership of assets in the area. It’s disappointing that this discussion has failed to notice the successful community ownership bid for Lottery Funding for the Duncan Place Resource Centre, this was a listed, council owned building which was slated for demolition and redevelopment and is a great example of how amenities can be saved in the area if people get organised. Its funny, in a way, locals working hard to get “community ownership” of council property. There was a time when council ownership meant community ownership. It did, but now it doesn’t, it needs people fighting to keep those spaces, it needs solidarity across groups and it needs patience and diligence. It needs people to work together, to work with and around the system as well as against it. Yes it’s important to be right, yes rampant development is a blight on the neighbourhood and should be resisted. But what would victory look like? I agree. Our councils now often act as property agents, packaging land up for developers in order to raise cash. Very little long-term (20 years plus) strategic work being done. We can’t trust them to protect our common assets. It’s very frustrating that we have to create another layer of local democracy ( development trusts ) to protect our assets from the very bodies that are tasked, trusted and paid to look after them on our behalf. “What would victory look like?” It’s a good question. Perhaps it would look like a lot more people out and about, using their common spaces to meet, talk, debate, celebrate and have fun. These common spaces would be securely held and inalienable. People would feel ownership of them and be very possessive of them. Public spaces would be luxurious rather than adequate. Keep your eyes peeled for the outcome of leith creatives “make it happen” community workshop on sept 1st. It has been preordained that benches will be asked for by the community “in a ‘challenge Anneka’ style”. One of the areas getting “community input” is across the river from the State Cinema – where hidden door performed and promoted the building of luxury flats on the site. The building of luxury flats across the river is of course a coincidence and there is no suggestion that they are tidying up the area to make it more attractive to potential buyers. At it’s heart, this is a land issue. Few of the outside organisations fighting bravely for the true soul of Leith would give a monkey’s about it were it not an area “on the up” in terms of land value. As long as there is profit to be made from converting areas where normal people live and work into areas where rich people live, “invest in property” and hang out, poorer people will be displaced by wealthier people. They will be moved on, to the outer edge of the spreading fungal circle of gentrification. Not seen, but kept handy enough to commute to poorly paid jobs servicing the better off whilst paying them rent for use of a “buy to let” home. We need to stop trading our neighbourhoods as a property investment commodity and destroy the speculative market in housing. A home is an essential human need, it should not be commodified or turn-piked to provide unearned income for one set of people. If we take the profit out of this game, our urban communities will be left alone to get on with their lives. As a natural born Leither, an embedded witness to the Shoreditch art wash/regeneration and a patron of the successful North Kelvin Meadow and Children’s Wood community campaign to save land from developers in cahoots with Glasgow Council, I am deeply interested in this debate. So thank you Bella for hosting this. I am also trying to be as supportive as I can to the Save Leith Walk Campaign. I am finding the range of views expressed fascinating but would urge that straight talking doesn’t degenerate into insults, personal accusations or worst, ethno-name-calling. I also work in the arts so feel protective of those in the field and would hate to see attempts at making work in Leith branded purely as art-washing. We’ve got to be careful here. And slagging off funding bodies is also easily done but gets us nowhere. It’s very easy to complain and point fingers. What I think is most important, based on what I saw of the brilliant Children’s Wood/Kelvin Meadow campaign is to get as many as possible of the community directly involved, not just in meetings, but culturally. Be as inventive as possible, get in the press and media as much as poss and get as much of folks talents utilised by above all running a POSITIVE campaign. Don’t just talk the talk but walk the Leith Walk! I’m quite disheartened by the tone of this debate. I don’t know Morvern and Duncan, nor Stephen Pritchard. I am, however, familiar with Morvern and Duncan’s work. Just to strut my own credentials, I lived (if you count Restalrig!) , worked and politicked in Leith for several years in the 1980s. Latterly, I helped the local community gain control of Duncan Place through asset transfer and a start-up grant from Big Lottery. Duncan and Morvern probably don’t know this but enabling community control of Duncan Place and saving it from developers was (partly) due to their work. Their painstaking research, mapping and integration of arts into the Leith Blueprint was part of the argument which ensured that Duncan Place remained as a community facility and not demolished to make executive flats. Thank you both for your unknowing contribution to this. As for Stephen Pritchard: he may well have some good points. I don’t know but for me, his contribution is fogged by his snide, snipey and generally unpleasant tone. In all my contacts with Leith over the years, Stephen Pritchard has been evident by his absence. I would perhaps take his views more seriously if I had seen him actually contribute a positive role in Lieth where he actually makes a positive impact. As for the point made regarding Local Authority vs Community Ownership and the issues around that; despite my 25 years of involvement in community land acquisition, I have a sympathy for the points made elsewhere on this. However, in relation to Duncan Place, the choice was clear: the community takes the building over or it becomes another executive development. I’m embarrassed to hear myself say this but there needs to be less grandstanding and more action. I am fed up listening to critical blowhards who actually achieve nothing. The above attempts at tone policing here while people in Leith are living in overcrowded and temporary accomodation – just waiting for the councils largesse to ship them out to the polluted areas of ocean terminal and the granton gasworks – are beneath everyone’s dignity, whether writer or reader. Will you come and instruct the families who will have to risk their health to live there on positivity then ? Marilyn can you maybe put forward some ideas of what you think should be done? I appreciate your anger at what’s going on ( though raising the thought of Hibs being relegated ((again)) was too close to tempting fate for my liking, even if it did make me LOL ) but there needs to be positive action, like there is with the Save Leith Walk campaign. So how can that grassroots struggle against the powers-that-be and wanna-be spread and force positive change for all? Cynicism is as useless as blind positivity. For a start. Save Leith Walk should reinstate every community member on their internal mailing list for meeting minutes rather than remove people who have voiced concerns about leith creative on this very thread. Save Leith walk should take a vocal stance on social housing in Leith. They have refused a counter plan to build social housing and have not responded to msp requests and homeless agency requests to have a clear stance and link up with agencies helping people in B&Bs etc around Leith Links. What has been given focus is one of the drivers of the SLW campaign, Pierre Forissier wants funding to build a bridge there. There is very little criticism of the university also – i would suggest that as Pierre is receiving business from the University and has set up companies with Chris Speed head of design informatics at the University – that there may a conflict of interest there. Misusing a community campaign for one’s own personal project is th e most cynical thing I can think of. Hmmm aye like everything else, cynicism depends on which side you are on and a healthy dose helps see whose interests are being defended or advanced. I’m quite shocked at what you say regarding SLW. Is this true?! On the wider (water)front, on artwashing, yes I saw it all happening in Shoreditch and, amongst much else, was involved in the promenade production Hoxton Story playing the arch-regenerator of Hoxton Square. Similar to Leith, those with most to lose were those at the bottom of the heap and those with most to gain at the top, but the whole thing was and is distorted by Thatcher’s Right-To-Buy sell off of council housing with very little social housing new build. On the art-washing of the area, yes undoubtedly it was a key factor in making it a very trendy place to live and this happened very quickly. When I moved there in 1988 it was still almost exclusively council estates, light industrial and offices. 30 years have seen it transformed with massively extensive expensive new build and huge new tech properties. But back in the day, it was the cheapness that attracted artists to the area, along with the vibe of the place, as has been the case with Leith. So it’s a bit chicken and egg- what came first- the artists or art-washing? So to chuck another metaphor into the mix- is the Leith baby artist being thrown out with the dirty money bath water of Leith?